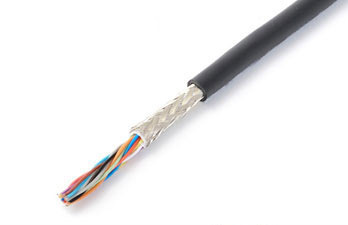 Flexible Cable - CE Marked RMFEV flexible cable for signal transmission. The RMFEV-SB(CE-S) is a highly flexible cable for equipment internal wiring with a CE mark (conforms to the standards of the European Economic Area). The cable is designed for signal transmission and not only has the characteristics of our RMFEV series cables including high mechanical strength, heat resistance, and high flexibility but is also a multi-authentication product that corresponds to UL standard and CSA standard (c-UL compliant).